Learning To See In Stereo Children born with a crossed eye can develop a condition called amblyopia that leaves them unable to see in stereo as adults. 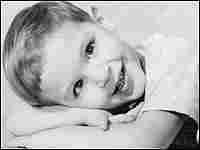 Conventional wisdom holds that vision stops improving around age 7, but now researchers believe adults with this condition can train their brains to gain stereo vision. 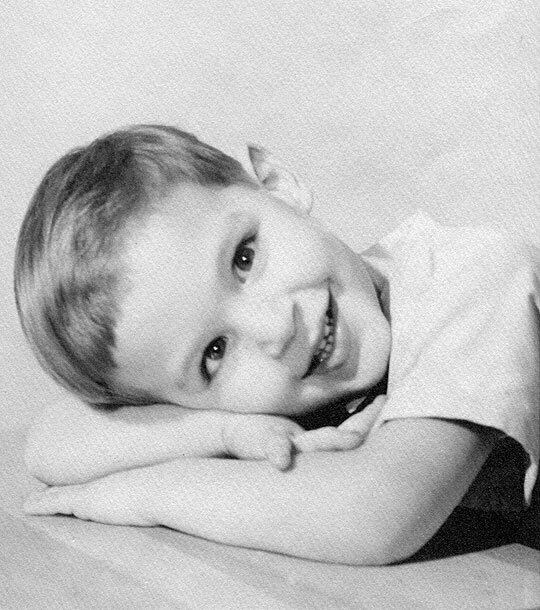 NPR's Joe Palca, at age 2. He was born with a crossed eye. So as not to be confused by two different images, his young brain learned to suppress the input from his right eye, leaving Joe with no stereo vision. As an adult, with glasses, Joe has nearly 20/20 vision, but his brain still can't see in stereo. 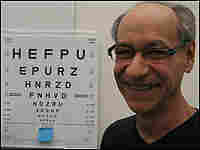 Dennis Levi is dean of the Optometry School at the University of California, Berkeley. 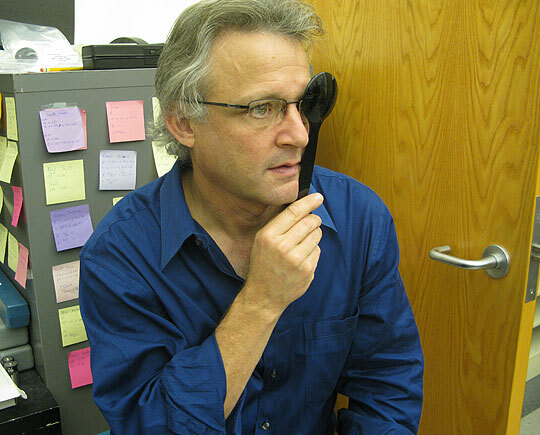 He is looking for ways to help adults with amblyopia. 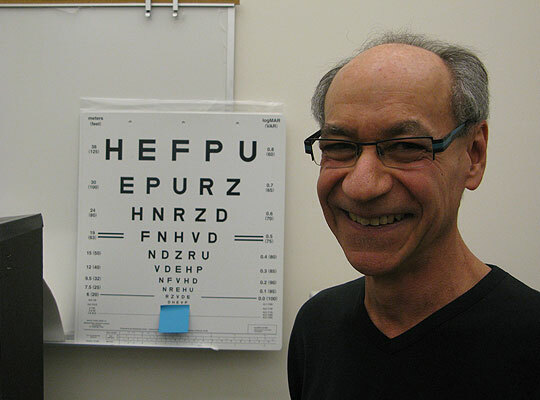 Joe undergoes an exam in Berkeley to test for stereo vision. 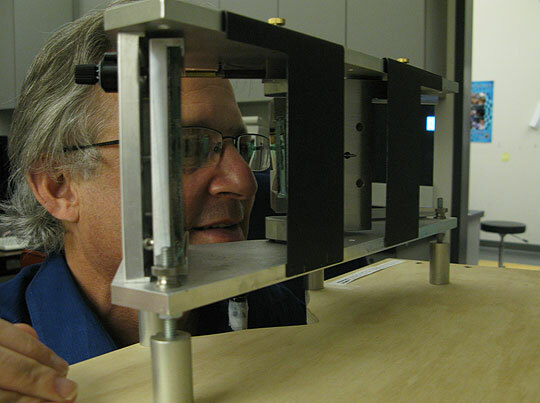 Researchers believe that adults with mono vision can teach their brains to see in stereo. Children who are born with a crossed eye can develop a peculiar condition affecting vision called amblyopia, or "lazy eye." The eyes register two different images of the world, and the brain can't handle it — so it ignores one of them. Surgery is commonly done to correct the crossed eye, and a patch is worn over the strong eye to force the weak eye to work harder. Conventional wisdom holds that after age 7, a child's vision isn't likely to improve. But researchers at the University of California, Berkeley, believe that adults with the condition can improve their vision. I decided to go and meet them because I'm hoping they can help me. I've known all my life that I have this vision problem that's hard for people to understand. It's tricky because there's nothing wrong with my eyes — there's something wrong with my brain. I was born with one eye crossed, the right eye. It was turned in toward my nose. This leads to amblyopia. I had surgery to straighten out the eye, so I look reasonably normal. But my brain never learned how to look at the images from the right and left eye simultaneously, so it suppresses one of them. 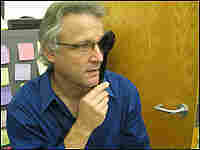 And that, says optometrist Dennis Levi of the University of California, Berkeley, has essentially left me "stereo blind." In other words, I don't see the world in three dimensions. Traditional wisdom says if brain paths crucial for vision aren't working past age 7 or so, they'll never work. But Levi is part of a growing number of researchers who think you can teach an old brain new tricks. And he thinks he can help me with this stereo blindness problem. 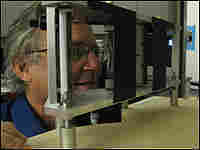 At the Berkeley lab, I was tested to see whether I had stereo vision. I looked through a set of prisms, and tried to make two boxes on a video screen merge into one image when seen through both eyes. If I could do that, it would be a first step in establishing stereo vision. But no matter how I adjusted the prisms, the boxes stayed separate. They moved closer together, and then one floated away. It's as if my brain was saying, "Don't force me to do this." It's so used to keeping the images from the two eyes separate that it can't cope with fusing them. Levi says he thinks he could work with me, teach me how to fuse the images. But his lab is in California, and I live in Washington — not an easy commute. So Levi encouraged me to call Sue Barry, a neuroscientist in Massachusetts who knows optometrists on the East Coast who might be able to help me. She's probably the most famous amblyopic patient in America. There have been profiles of her in The New Yorker magazine and on NPR. Barry, like me, was born with a crossed eye. Working with optometrists, she was able to do the equivalent of fusing the boxes and now has full stereo vision. Barry says that gaining stereo vision made her feel more a part of the world, "an incredible sense of being immersed in the space around you, as opposed to looking in on it from a slight distance away." It took her a year of work to gain stereo vision. I might just try it. Barry says it's definitely worth the effort. Learn More About Amblyopia From The National Institutes Of Health.